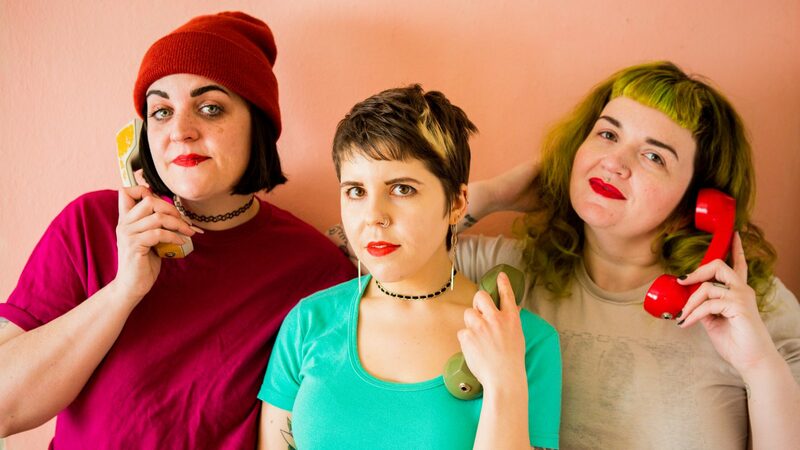 Kitten Forever is a Minneapolis-based drums and bass trio. Corrie Harrigan, Laura Larson, and Liz Elton have been playing music together for over 10 years. The trio trades off duties on each instrument, giving equal time on drums, bass, and vocals to everyone. This democratic approach to performing and song writing gives the band a unified front, deconstructing traditional stage hierarchy, as well as a diverse set of perspectives, with unique sounds and styles for each performer. Their fuzzed out, caustic, party punk is inspired by equal parts friendship and feminism, using a stripped down aesthetic to showcase big emotions. A band of bratty banshee best friends, Kitten Forever believes in each other, pets, magic, and you.